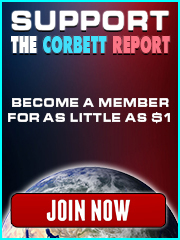 Description: In this inaugural edition of The Corbett Report we examine the flaws behind the official investigation into September 11 and the top reasons to call for an independent citizens’ examination of the events of that day. Description: This Washington Times article from 2006 reveals how the CIA is using Open Source intelligence to gather information about the public. Description: These are the official findings of the National Commission on Terrorist Attacks Upon the United States. It presents the official conspiracy theory of the events of September 11. Description: This is an open letter written to the US Congress and signed off on by 25 security and counterterrorism specialists, including many FBI agents. Description: FBI translator Sibel Edmonds takes the 911 Commission to task for not including her explosive testimony in their report. Description: This Washington Post article features Ray McGovern, a 27-year CIA veteran who derides the 911 Commission for exculpating the government for the failures of September 11. Description: A CNN article from 2002 detailing Bush’s request to limit the congressional inquiry into September 11. Description: After more than a year of denying the necessity of an investigation into September 11, Bush has a sudden change of heart. Description: A Washington Post report that details Bob Woodward’s revelation that Kissinger has been advising the Bush administration on the Iraq war. Description: An excellent documentary that details the efforts of four September 11 widows to get an independent investigation into the attacks established. Description: The Wikipedia entry for Zelikow, the 911 Commission Executive Director, notes that he served on the President’s Foreign Intelligence Advisory Board, the Bush administration transition team and wrote the pre-emptive war doctrine. Description: The first official explanation of the collapse of the twin towers. Description: A New York Times article from Christmas 2001 talking about the serious shortcomings of the FEMA World Trade Center performance study. Description: The NIST site detailing the investigation into the collapse of the twin towers. Description: A request for correction filed by scientists, engineers, 9/11 family members and others detailing flaws in the NIST study of the towers’ collapse. Documentation – Kevin Ryan fired for questioning collapse. Description: An AP article detailing Kevin Ryan’s dismissal from Underwriters Laboratories for questioning NIST’s preliminary results. Description: The video of the collapse of building World Trade Center 7, the third building to collapse on September 11. Description: This brief documentary details the mysteries of the building’s collapse. Description: BBC reports WTC7 has collapsed before it actually does, despite the fact that it is still standing behind the reporter who is reporting the story…23 minutes before it actually did fall. Description: A link to the BBC response to the story that they reported WTC7’s collapse before it actually happened, complete with their admission that they have conveniently lost all their tapes from September 11. Description: A CNN list of tenants in the World Trade Center. The CIA’s tenancy was revealed seperately by the New York Times in an article reproduced at http://www.wtc7.net/lcache/wtc7.htm. Description: BBC News reports that 3 of the supposed hijackers have actually been interviewed and found to be alive and well. Description: The official FBI press release which identifies the 19 hijackers, including several who have been interviewed by reporters after September 11. Description: See Chapter 1.1 of the report for the identities of the hijackers, several of whom have since been interviewed alive and well in the Middle East. Description: Newsweek report detailing information that 5 of the hijackers were trained at US military installations. Description: A vice chancellor at the Defense Language Institute where some of the hijackers trained, goes on the record to say Bush knew of the attacks beforehand. Description: A summary of the Air Force’s vaguely worded denial that the hijackers were trained at US bases and the refusal to release any information to back that claim up. Description: The Wall Street Journal reports that General Mahmoud Ahmad was dismissed as head of Pakistan’s ISI for wiring money to the lead hijacker of the September 11 attacks. Description: The Washington Post reports that General Ahmad was meeting with the very men who would lead the congressional inquiry into the attacks on the morning of September 11. Description: The Pentagon randomly chooses the date of September 10, 2001 to announce that they have misplaced funding equivalent to the entire annual budget of the US government. Description: Cynthia McKinney grills Rumsfeld on missing trillions. Description: A Guardian article detailing Bin Laden’s visit from a CIA handler in July 2001 during his visit to a hospital in Dubai. Description: The Joint Chiefs of Staff had the foresight to change the orders relating to the very events that would happen just weeks later. Description: ABCNews reports the Treasury Department, the SEC and a Chicago Exchange were all engaged in probing put options on effected stocks in the weeks before the attack. 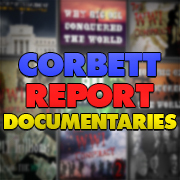 Description: Michael Ruppert reports on the suppressed details that show the ex-Executive Director of the CIA’s involvement in the insider trading preceding the attacks. Description: Ashcroft advised to fly chartered aircraft for the duration of his term due to FBI threat assessment. Description: Video containing information about 9/11, including drills that were being conducted that morning. Description: The Toronto Star reports that fake radar blips were used as part of the Operation Northern Vigilance war games. Description: Information on Tripod II, a biowarfare drill which moved the Mayor’s Office of Emergency Management out of WTC7. Description: The National Reconnaisance Office just happened to be running a drill of jets crashing into government buildings on the morning of September 11. Description: NORAD had already run a drill of a hijacked jetliner slamming into the World Trade Center. Description: Luckily for them, Pentagon medics trained for the very eventuality of a 757 hitting the Pentagon the very month before it happened. Description: Sibel Edmonds reveals the FBI deliberately ignored prior information about the attacks. Description: The BBC reports on Harry Samit, who reported a hijack risk to his superiors 70 times and accused them of criminal negligence in ignoring his warnings. Description: This CBC interview with Dylan Avery cites the CSPAN presentation of FBI agent Robert Wright, who announced the Bushes vacation with the Bin Ladens. Description: FBI agent Colleen Rowley says the agency blocked her investigations into Moussaoui even after the September 11 attacks. Description: A copy of the Phoenix Memo warning of Bin Laden’s plans to send Al-Qaeda operatives into the US to take civil aviation classes. Description: Appendix C of the FEMA report on the towers’ collapse shows the metal contained unexplained sulfidation. Description: A scientific paper by Steven Jones that proposes thermate as a chemical that may have been used in the destruction of the towers. Description: An article detailing the rapid disposal of the physical evidence from ground zero. Description: A Reuters article detailing findings that human remains from Ground Zero were used to fill potholes and pave roads. Description: A Fox News report outlining Able Danger (which identified Atta a year before the attacks) and Congressman Weldon’s fury with the 9/11 Commission for covering up this evidence. Description: See page 28 of this official document for the bizarre story of the “delivery truck” stopped near Ground Zero on the morning of 9/11 which sported a painting of a plane flying into the World Trade Center. Description: The Executive Order which barred the FBI from investigating Bin Laden family links to terror inside the US pre-9/11. Description: This interview confirms that FBI Deputy Director John O’Neill resigned because the Bush administration was interfering with counterterrorism efforts. Description: CNN reports that O’Neill is thought dead in the World Trade Center collapse, where he was helping evacuate people. I thought I would listen to your first report for a change. Funny (actually quite sad) how nothing has really changed on that matter since. We are still at that same point. Eventhough the evidence lays open since years, not one investigation has been pulled through. Sure, A&E are close (as always) in presenting more facts to the destruction of WTC7 and Saleh is not giving up in sueing Bush, but nothing has really happened. How frustrating. 15 years later (and almost 10 for this podcast) the false flag operations continue as do the wars. OT: Could you credit the music on this episode? Who is that at the end? Track Id says: Don Henley – Inside Job.